It amazes me how quickly people expect their entertainment to be produced these days. Three years used to seem a reasonable amount of time to produce a sequel for a blockbuster film, but The Lord of the Rings and the early Harry Potter films spoiled us with a mere year between installments. While these particular franchises didn’t seem to suffer too greatly for the rapid release schedules, and while Hollywood does generally seem to be doing better at producing decent entertainment in less time, I think it’s still safe to say that the best films generally take a little more time to create. The Amazing Spider-man (3 July 2012). While being one of the most recognizable superheroes, Spider-man has been plagued by less-than-perfect treatment on both the big and small screen. The best was probably the Spectacular Spider-man animated series (full episodes on YouTube), where the only point of criticism I can raise is that it was canceled far too early and without good cause. I also enjoy a lot of elements of the Sam Raimi run. But I am very, very eager to see if this might finally be the project that solidly nails the Spider-man myth. The Dark Knight Rises (20 July 2012). The teaser trailer was underwhelming. People questioned whether Anne Hathaway could really pull off Catwoman. But Christopher Nolan has done an amazing job with the past two films and I’ve maintained all along that we just needed to let him do his thing one more time. Ender’s Game (15 March 2013). I attended an Orson Scott Card reading in 1998 where he shared the first couple of scenes from an Ender’s Game movie script he had been working on. He stated up front that the project would likely take years to develop, since he really wanted to make sure it would be done right. Still, 15 years was a bit longer than I had expected. I’ve never complained in all that long wait, but I will admit that when casting decisions started being announced a couple of months go, it did feel like getting the first glimpse of the promised land after years of wandering in the wilderness. 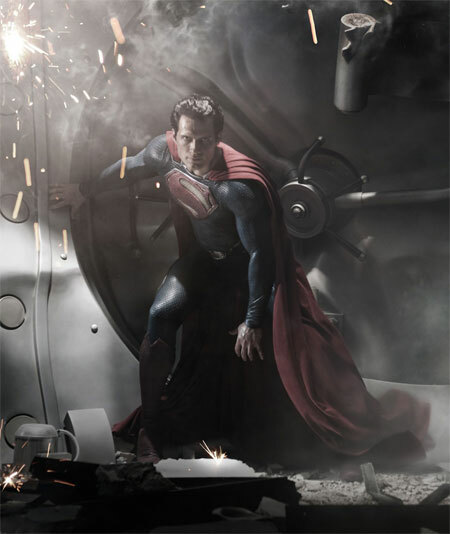 Man of Steel (14 June 2013). There is a lot of reboot weariness these days, and nowhere is this more apparent than in the Superman franchise. After the flawed Superman Returns, a lot of people are rolling their eyes at the prospect of yet another iteration of the caped Kryptonian boy scout. As for me, I’m highly optimistic that, with the right approach, this iconic character can really come to life for a whole new generation. Untitled Star Trek sequel (2013). I remember the last Star Trek movie taking an agonizingly long time to come out, especially when the release date ended up being pushed back from Christmas 2008 to the following summer. The result: one of the best-made blockbuster films of all time. If it means getting a sequel of equivalent quality, I say let them take all the time they need on this one. This entry was posted in what i've been watching. Bookmark the permalink. I don’t have terribly high hopes for Ender’s Game, although my hopes are much higher for it than for any books OSC will put out in the future. I’ve had to do a tremendous amount of waiting for George R.R. Martin’s series. I discovered the first book soon after it first came out, and I wait patiently for each one. But fantastic literature takes time, so I’m okay waiting. As long as he finishes it. Maybe the deadlines on the HBO series will force him to hurry things along. A series I have no interest in watching, by the way. And here’s hoping Batman will be just as good as the last two, if not as dark as the last one. Yeah, OSC books aren’t always the sure wins that they used to be for me. Any particular reason you aren’t expecting Ender’s Game to turn out well? I like George R. R. Martin’s work well enough, but have only read the first book of the Song of Ice and Fire series. I’m sure it’s worth sticking with, but as slow as the books have come out there hasn’t been any big rush to get into them.